Philip J. Breeden, US Embassy, Paris; quoted in NY Times 6-30-2014. The ancient carved cottonwood mask, decorated with eagle feathers and earthen pigment paint stares blankly at an observer from a shelf in a Paris auction house. The display counter is cluttered with Hopi pottery, kachina figures and sacred altar decorations once hidden in the protective darkness of a kiva. As I studied the photograph in the New York Times article, I imagined other sacred items that could be on another shelf: a silver pyxis containing hosts of the blessed body of Christ; a treasured Torah scroll from Jerusalem; a hand copied Quran from Kufa, Iraq; a revered scroll of the Rig Veda from India; and a Tibetan Buddhist Sutra from a monastery high in the Himalayas. I imagine all of these for sale in the same auction house. How would Muslims, Jews, Christians, Buddhists and Hindus react if they read about a public auction of these sacred objects? It is not difficult to imagine a vast international reaction condemning this sale on social media, CNN and angry crowds beating down the very doors of that Paris auction house. Reacting to the outcry of another auction of Hopi sacred masks, the auction house EVE contends: “No American law has been violated. There has been no illegal operation.” The masks were the property of a French collector who lived in the USA for thirty years. However, the United States considers tribal entities to be separate nations. The French government does not recognize the Hopi as part of the international community. Jewish families, whose relatives died in the Holocaust, who challenge French courts over ownership of valuable art stolen by the Nazi, have had similar experiences. You can read about other controversies of Hopi sacred objects in Tony Hillerman’s novels, especially Talking God. The Smithsonian Museum in Washington DC is the focus of criminal investigation by Navajo Tribal Police Lt. Joe Leaphorn and Officer Jim Chee over the museum’s possession of the revered mask of Teibichai, or Talking God, and collections of Hopi remains exhumed in archeological excavations. 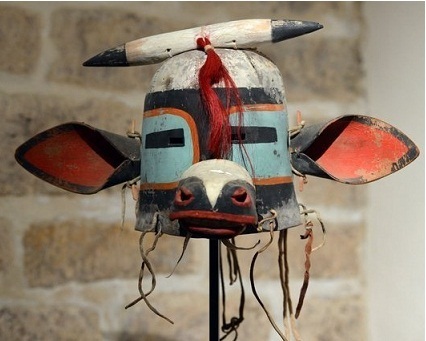 For the Hopi, the sacred mask on the shelf in the Parisian auction house is considered to be a living spirit. These masks need to be nurtured and cared for within the Hopi community. Otherwise, sickness or calamity could fall on the community. The only way these masks could have left the people was either by theft or clandestine sale. Many Hopi believe that the likely culprits who stole the masks and other sacred objects were Hopi witches, who were flaunting their power in the face of tribal taboo. Windswept vistas of red and golden sandstone cliffs border Arizona Highway 40, as I drive eastward from Flagstaff. At Winslow, the highway crosses the Little Colorado River. A sign directing me to Highway 87 guides me on the straight arrow road for sixty miles to the north to the Hopi Nation. As I approach the three principal Hopi mesas, height and distance are deceptive. The road ends at Second Mesa, at Highway 264, which connects the villages of First, Second and Third Mesa. To my right a vast cornfield spreads out on desert sand. I park the car and walk out into the field. No fences. Hopis hate fences. Boots sink slightly into loamy, soft sand. Ripe heads of corn swell out of thick green stalks. 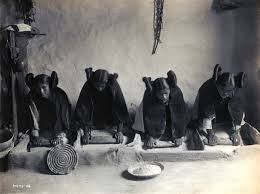 In this maternal culture, Hopi women protectively store the seed corn, which is blessed in the kivas before planting. A designated elder carefully marks the calendar, watching the cycles of the moon. At the right time, seeds are planted. Ancient cottonwood sticks, weathered by years of use, probe openings into the soil. These are holy prayer sticks, potent with fertile powers. Cracked, callused hands drop seeds into the receptive hole, Mother Earth’s womb. 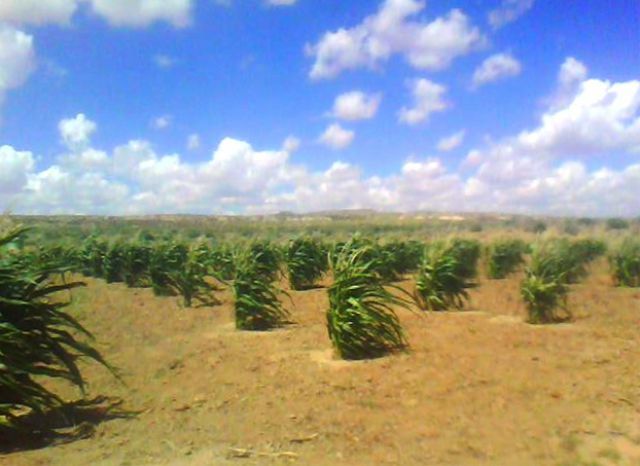 After germination, Hopi farmers shield the plants from intense sun with flat rocks propped up with sticks. And there is singing, always prayerful singing. Anglos speak of praying over plants so that they will grow. Hopis have prayed over their little corn children for hundreds of years. Two red tail hawks hover high above, shrieking as I walk among the mature corn stalks. Wind suddenly whips up a cloud of dust hitting my face with stinging granules of sand. I slowly open my eyes again and see the wind moving through the cornfield. Long, wispy leaves of cornstalk reach out, sway, and touch the earth, like Hopi maidens dancing. I hear the sound of singing prayers. Heavy shadows pass over me, blotting out the sun. A huge, thick thundercloud approaches. Rumbles of thunder, the earth quivers. The Kachina spirits are coming, bringing the rain that nurtures the corn. Farming in this desert sand with hands, prayer sticks and prayers for rain is an act of faith. 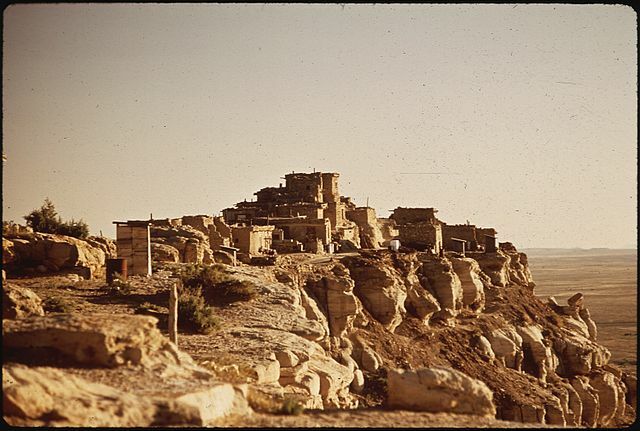 I return to the car and continue right on the Hopi reservation highway leading to First Mesa, passing a village of square adobe homes. Drying corn ears, tied to string, hang like a colorful necklace from mesquite rafters: blue corn, red corn, white corn, yellow corn: representing the four cardinal sacred directions. I have an appointment at eleven a.m. to meet Susan at the First Mesa, Walpi community center. As the steep access road climbs, I realize the deception of distance and height in the landscape, arriving at the top, now over 7,000 feet above sea level. As I gaze at the highway below, it is like being on a flat flying saucer hovering over the land. Walpi and the other villages are among the longest continuously inhabited places in North America. A crumbling adobe home has a doorway blocked with debris. Abandoned? Next door, a modern cinder block home is decorated with colorful curtains. More corn ears and red peppers hang from rafters. Susan guides my walk through the village. Dogs bark. Children laugh and play somewhere. Behind the houses, the mesa cliff drops off without protective fences. With a soft measured voice, Susan shares a narrative about the village and her people. I am careful about asking too many questions. We pass a kiva ceremonial site, a cracked cotton wood ladder sticking out of the hole that leads down into the sacred chamber. The kiva is covered with thick logs of wood, some of them burned. “Was there a fire here?” I ask. Susan’s quiet voice answers: “Those are from the Christian mission church, burned in 1680 during the revolt of our people against the Spanish.” Walpi is the oldest Hopi settlement, without running water or electricity. Imagine the effort to climb down rocky trails to fetch water from the stream far below. I pass homes and can see a diverse artistic community here at work. A Hopi potter removes a pot from an earthen kiln, which had cured in steaming sheep dung overnight. A silversmith can be seen through a doorway working carefully at a table. A man wearing a bright red headband weaves a blanket. I spoke with a woman, painting an oval pot with a yucca fiber brush. “How do you find the inspiration for your designs?” Sometimes, images come clearly in her dreams. She also likes to sit among the rocks and trees when she goes down to fetch water. The cottonwoods speak to her and the rocks each have their special place in the landscape. There is an intense spiritual awareness that all things, animate and inanimate, are filled with spirit presences and we can commune with them. In my visits to the Hopi, there is an introverted silence about sacred things, especially rituals and ceremonies. Clan relationships are more powerful than blood ties. Husbands and wives of different clans will not discuss their clans traditions with the other. For decades in the 20th century, American and European anthropologists have camped out and lived among the Hopi, slowly building trust. Over time, secrets about kiva ceremonies were revealed. Researchers used this information to write dissertations, books and give lectures. The sacred was harvested to foster academic reputations. The problem for the Hopi is that talking about sacred things to people not of your clan, not of your people, dilutes the spiritual potency of these rites. Today, there is strong resistance to discussing their religion among non-Hopi. As I walk within Walpi pueblo, I recognize a tall stone column that appeared in several Edward Curtis photos, backdrop for the famous Kachina dances. While Anglo Europeans tried to suppress these dances, in the early years, today Hopi are free to celebrate these rituals. It is believed that between December and June the Kachinas journey from their home beneath the San Francisco Peaks near Flagstaff, to the Hopi Mesas. Different Hopi clans offer kachina dances, which are prayer rituals inviting these spirits of ancestors and the natural world to bring blessings and rain to the people. Kachina dancers must enter the ritual in a state of purity. When they don the sacred masks, they are possessed by the kachina spirit and become that spirit. This is one reason why the masks for sale in the auction in France is so devastating: the masks are spirit presences that are alive and must be nurtured and protected. 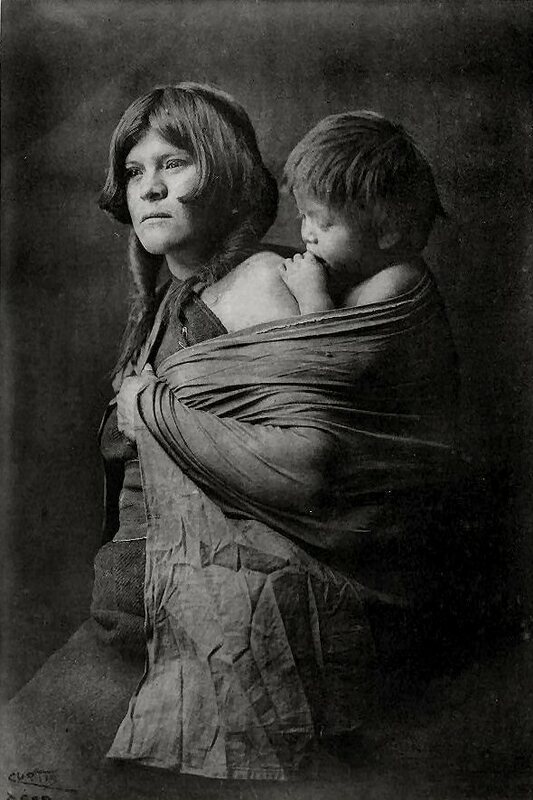 Their absence and abuse are harmful to the Hopi people. The Spiritual Life of Children, by the child psychologist Robert Coles. Robert Coles had a natural ability to establish rapport with children so that they would open up about their lives. In earlier books, he revealed the haunting poverty of Black children in the South, which inspired Kennedy and Johnson in the War on Poverty. In the Spiritual Life of Children, Coles helps children from different world religions share their spiritual experiences. One of these encounters is with Natalie, the Hopi girl. Robert Coles sits with ten-year-old Natalie as they gaze out over cornfields toward Walpi Mesa. He notices that she often seems in an altered state, as his tape recorder picks up the narrative. She seems captivated by the land and sky above and the whole world around her. As they talk, she notices a pair of hawks hovering above them. She senses their hungry search for prey, the feel of the wind lifting their wings and their watchful observation of Natalie and Coles. Her gaze returns to the mesa high above her home. The Hopi believe that living in these ancient pueblos, high on the mesas in northeastern Arizona, the spiritual center of the universe, their rituals and ceremonies are not only for their people, but a vision of peace and harmony for all of us. The Spiritual Life of Children, Robert Coles MD (Boston: Houghton Mifflin Company, 1990). Meditations with the Hopi, Robert Boissiere (Santa Fe, NM: Bear and Company, 1986). Book of the Hopi, Frank Waters (New York: Penguin Books, 1977). This entry was posted in Blog and tagged Arizona, corn, Hopi, Hopi masks, Kachina, Native American, Walpi Mesa. Bookmark the permalink. Beautiful story of the sacred. Thanks for sharing.